The success of your business relies in no small part on your workplace communication skills. Employees appreciate being complimented on a job well done, and a short compliment letter or email can go a long way in making them feel an essential part of the business. The more effective your workplace communication skills, the happier your employees will be, and the better you will be able to deliver your goods or services to customers. Your message will also be received better if written in an appropriately decorative language, and without spelling, punctuation or grammatical errors. Write your letter, and then turn to WhiteSmoke Writing Software to make it special. 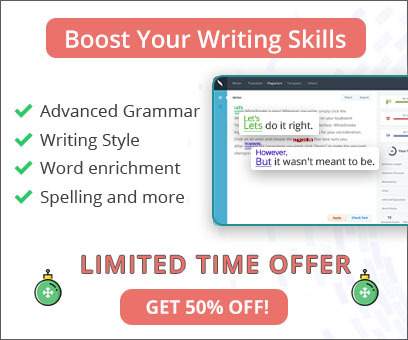 As a complete grammar correction tool, it will ensure your letter is clear and concise. 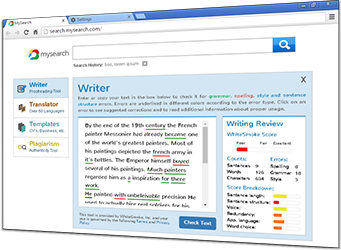 And with its dictionary, thesaurus, and unique enrichment feature, it will extend your vocabulary by offering synonyms, adverbs and adjectives that fit perfectly with your text. Thanks for your work on the Brown international contrat. Its a great success for us, and your negotiations were a big part of it. Brown just called me to say he valued your contribution too. Thanks for your hard work on the Brown International contract. The whole management team is overjoyed with the deal. It is a remarkable success for us, and your negotiations were an immeasurable part of this success. Brown just called me to say he appreciated your contribution too.